The Domain Name System (DNS) protocol is an important part of the web’s infrastructure, that serves as the Internet’s phone book, each and every time you visit a website, your computer performs a DNS lookup. Complex pages often require multiple DNS lookups before they start loading, so your computer may be performing hundreds of lookups every day. Every website will have an IP address that is a series of numbers. The DNS allows us to access a website without having to remember its specific series of numbers. Instead, we just remember something like “Google” or “Facebook” or “Amazon”. All our Internet Service Provider (ISP) by default runs its DNS servers. Many times, this works fine but sometimes it doesn’t. You don’t have to use their servers instead there is an option to use third-party DNS servers such as Google Public DNS. Google Public DNS is a free alternative Domain Name System (DNS) service that is offered to Internet users around the world. The public DNS service and servers that are offered are maintained and owned by Google. It functions as a recursive name server providing domain name resolution for any host on the Internet. As of 2014, Google Public DNS is the largest public DNS service in the world, handling 400 billion requests per day. If you want to try Google Public DNS, then your client programs will perform all DNS lookups using Google Public DNS. To use Google Public DNS, you need to explicitly change the DNS settings in your operating system or device to use the Google Public DNS IP addresses. 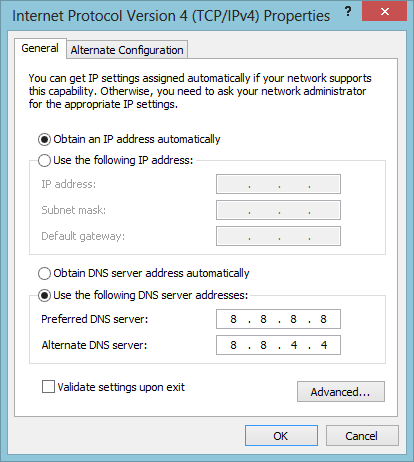 The procedure for changing your DNS settings varies according to operating system and version (Windows, Mac or Linux) or the device (computer, phone, or router). Note: Before changing your DNS settings to Google Public DNS, write down the current server addresses or settings somewhere as it is very important to keep numbers for backup purposes, in case you need to go back to old settings at any time. Google Public DNS represents two IP addresses. First one is 8.8.8.8, the primary DNS and the second one is 8.8.4.4, the secondary one. You can use Google DNS instead of your ISP’s DNS servers. Google DNS resolves the hostnames faster than many DNS servers that belong to ISPs. Google crawls the Internet regularly and a part of the process is to resolve and cache all DNS information. Due to this, it can support high-volume searches and also a big portion of their answers are coming from their cache. Thus, it decreases the time needed to answer a query. It also provides more reliability and increased performance, faster query times mean pages load faster and less down time. 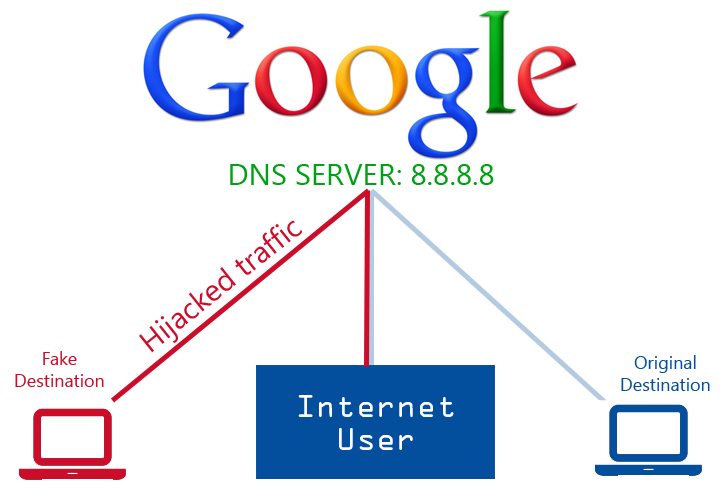 Google Public DNS supports DNSSEC or Domain Name Security Extensions which works against cache poisoning attacks. Cache poisoning is essentially an attempt to redirect users from their intended destination to a malicious site. Sometimes cyber criminals can even take control of an entire DNS zone. With Google Public DNS you get extra security against these types of attacks. Google Public DNS also offers DNS-over-HTTPS, or DNS resolution over top of and HTTPS connection, which is yet another level of security that prevents eavesdropping, tampering or spoofing. Google will always return the exact answer to your query, even if you have mistyped or misspelt something. Some ISPs will redirect you and change the direction you are trying to go, but Google won’t. As you know, the default DNS on a router is your ISP’s DNS. Often ISPs block access to certain resources be resolving their site names to a “wrong” IP-address. For instance, if ISP wants to block access to example.com their DNS would resolve example.com to 127.0.0.1 or another fake IP. To avoid such blocking, you have to set 8.8.8.8 or 8.8.4.4 on router or PC and use them to resolve the correct domain names. 1. 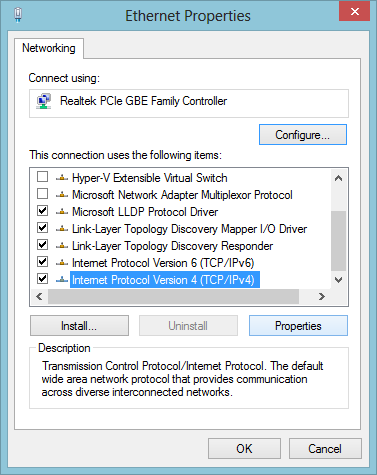 Go to the Control Panel > Network and the Internet> Network and Sharing Center> Change Adapter Settings. 2. Select the connection for which you want to configure Google Public DNS. 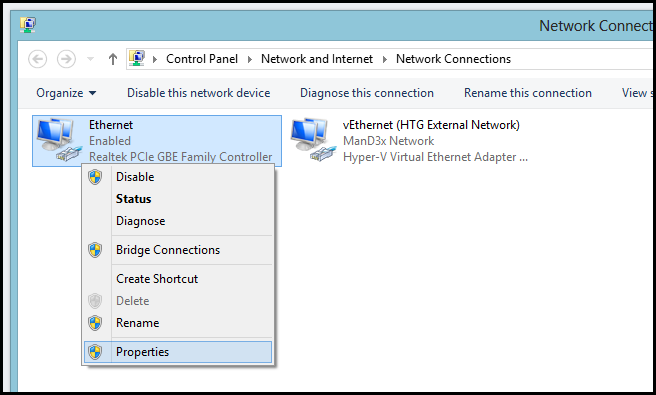 To change the settings for an Ethernet connection, right-click Local Area Connection> Properties. 3. Now, select the Networking tab. Under “This connection uses the following items”, select “Internet Protocol Version 4 (TCP/IPv4)” or “Internet Protocol Version 6 (TCP/IPv6)” and then click Properties. 4. Click on Advanced tab and select the DNStab. If there are any DNS server IP addresses listed there, write them down for future reference, and remove them from this window. Click OK.
5. Select “Use the following DNS server addresses”. If there are any IP addresses listed in the “Preferred DNS server or Alternate DNS server”, write them down for future reference. 7. Restart the connection you selected in step 2. 8. Test that your setup is working correctly; see Test your new settings below. 1. 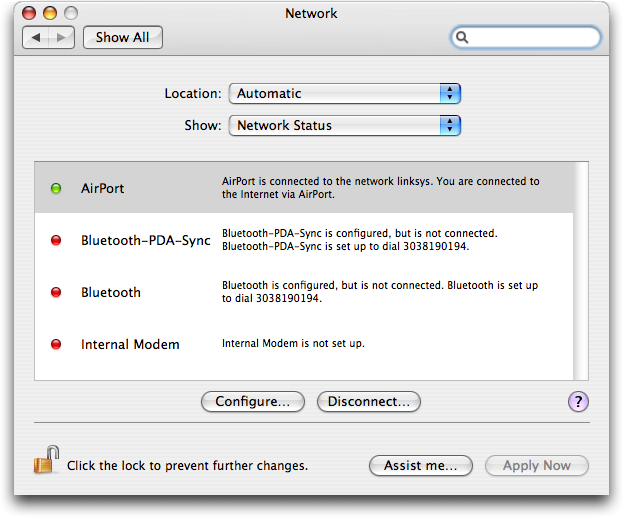 Click Apple> System Preferences > Network. 2. If you see the lock icon in the lower left-hand corner of the window is locked, click the icon to make changes, and when prompted to authenticate, enter your password. 3. Select the connection for which you want to configure Google Public DNS. 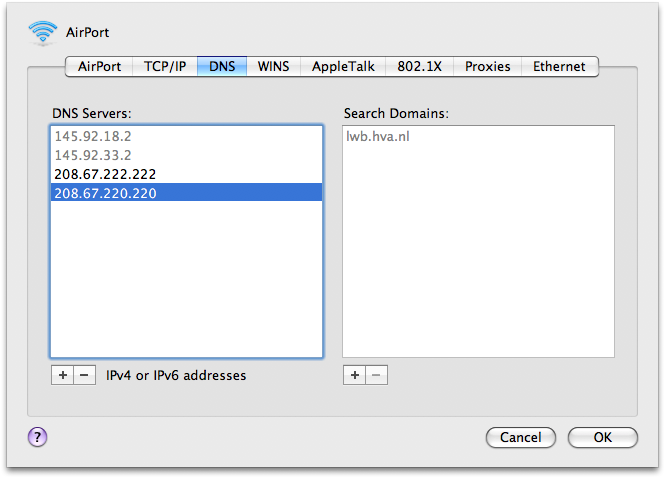 For IPv6-only: you can useGoogle Public DNS64 instead of the IPv6 addresses in the previous point. 7. Test that your setup is working correctly; seeTest your new settings below. Hopefully, this guide will help you avoid problems with your DNS configuration and provide you with more reliable resolution. If you have any queries, please let us know in the comments section below.